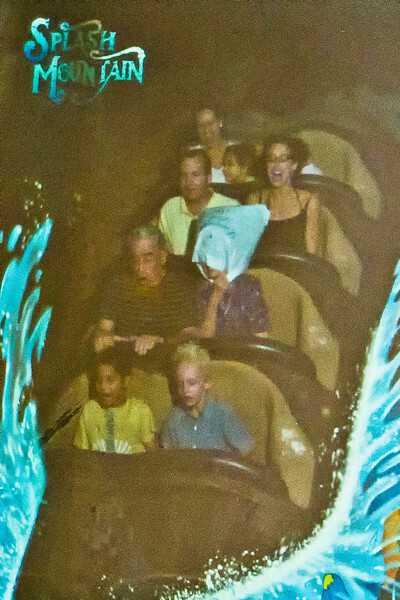 Snapshot of a monitor showing us riding Splash Mountain. Parker and Tace in front seat, Wynda and Parker next (Wynda with a plastic bag over her head! ), Shawn and Daphne in next seat.